CU-100RLC | Rolence Enterprise Inc. The unit features a 12 V/75 W lamp with an intensity up to 600 mW/cm2. 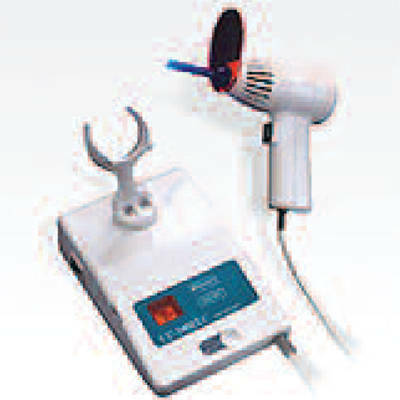 The handpiece has a membrane-sealed switch for easier cleaning and features a quiet fan as well as a thermal cutoff switch and fuse to prevent overheating. A built-in indicator light ensures proper intensity levels, and an audible tone indicates 10-second intervals of operation.